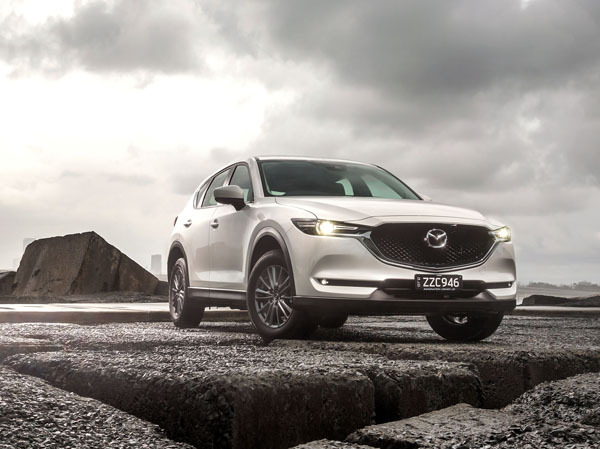 Never a company to follow mainstream thinking, Mazda has just introduced a series of fascinating engineering changes to Australia’s most popular SUV, the Mazda CX-5. 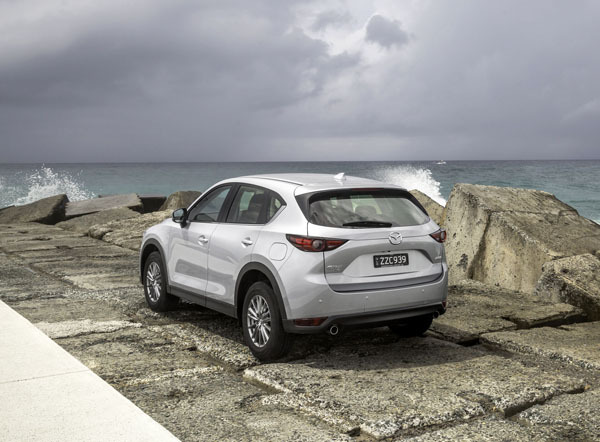 Australia is highly regarded by Mazda so the program manager for the CX-5, Hideki Matsuoka, flew to Australia to introduce the upgraded model to us. He explained that performance and efficiency have been significantly across all engine grades. We have carried out an extensive drive program out of Canberra to examine two of these significantly uprated engines, the 2.2 diesel and 2.5 petrol. Engine now has a two-stage twin-turbocharger with variable turbine geometry to increase maximum power output from 129kW to 140kW and maximum torque from 420Nm to 450Nm. We found the engine to have more turbo lag than we like, but to have a huge amount of grunt once the frustrating early stage had passed. Plan ahead correctly and you can safety overtake with plenty of road to spare. Thanks also go to the automatic transmission as it is quick to sense the driver wants action and changes down a gear or two. Hillclimbing is ridiculously easy thanks to that huge torque. There’s typical diesel engine noise at idle but it’s barely heard outside the CX-5 and once you’re cruising it’s all but silent. This big four-cylinder petrol engine now has cylinder deactivation to make it effectively a two-cylinder unit under gentle cruising. Mazda has measured consumption when at a constant 40 km/h to be lowered by about 20 per cent. And by five per cent at a constant 80km/h. Mazda has always been scrupulously honest with us in the past and we see no reason to doubt these numbers. Overall fuel consumption on our highway running on the Canberra trip sat in the seven to eight litres per hundred kilometres range, pleasingly low for an SUV in this class. There was no sense of when the CX-5 was running on four cylinders or two. Cruising in our topline CX-5 Akera was quiet and luxurious. 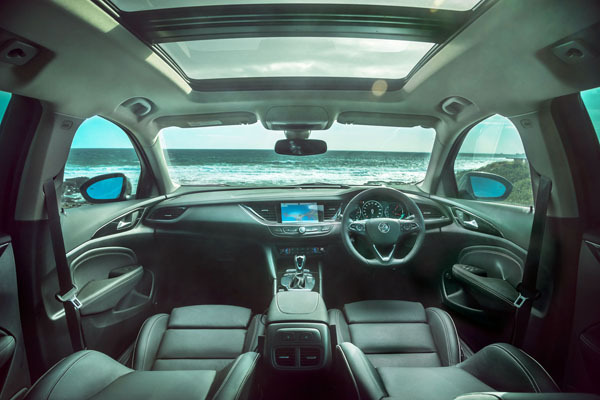 As part of the upgrade the Akera now has a 360 degree view monitor that can be used in parking, even in tight driving conditions at low speeds. We call this the ‘helicopter’ system as you really do have the feeling a drone is hovering over the Mazda and sending down video of your car and its immediate surrounds. As before, there are 12 models of the Mazda CX-5 range: three Maxx, three Maxx Sport, and two each of the Touring, GT and Akera grades. Mazda is putting a huge amount of research into its next-generation engine, called SkyActiv-X that will be launched in 2019. SkyActiv-X will be the world’s first commercial petrol engine to use compression ignition. Note: These prices do not include government or dealer delivery charges. Contact your local Mazda dealer for drive-away prices.